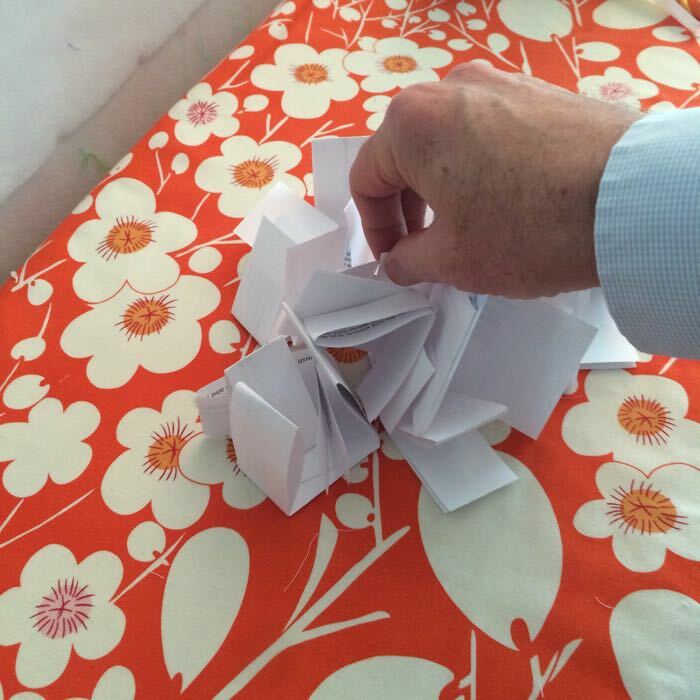 Posted on February 5, 2016 by Elizabeth E.
I did the Husband Random Name Generator today and Diane Nelson is the winner of the pearl cotton bubbles. Congratulations, Diane! I mailed them off this afternoon to you. Glad you are making good progress on your Oh Christmas Tree. I received my latest Frivols tin, with the cutest little scissor holder–it will just fit nicely over my embroidery scissors. I signed up for a year of these as a retirement present to myself. So far it’s going along nicely: I have a stack of seven tins on my sewing room shelf (they have numbers on the side to keep track of them), with none of them made. I think I need to stop putting this off. Laurel let me stipple on her quilt for her yesterday. Isn’t this just the dream of a mini quilt? It’s for an auction for Autism Research. Bee blocks are in my life right now. I was Queen Bee for January in two bees, and they are rolling in–one batch of words for Spelling Bee was held up by a snowstorm in the midwest, and the rest of the words are being held back by my procrastination (see notes at the end of this post). 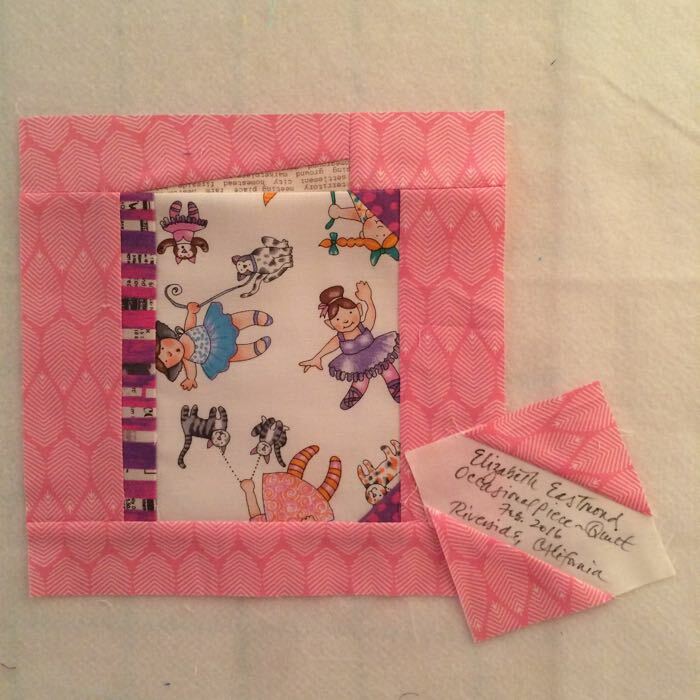 I finished this book block for Cindy’s granddaughter’s quilt last night, and there’s my signature block. I love that in our bee we do signature blocks for each other; we also do them in The Spelling Bee too. 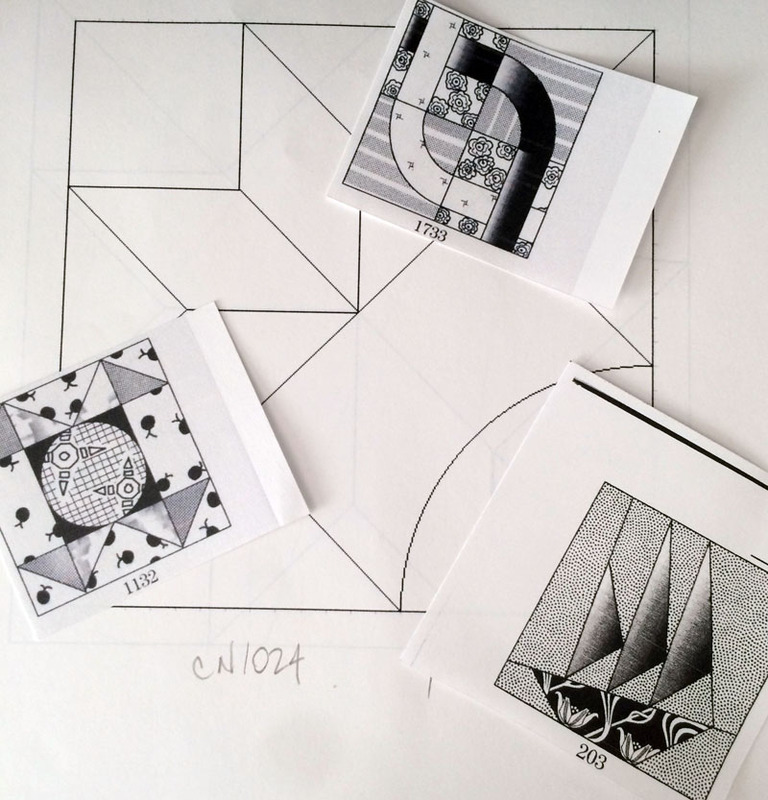 Time to gear up for February’s Chuck Nohara blocks. Looks like we have more piecing than appliqué this time around–should go quickly together. Susan has already started hers: here and here. She’s quick! Yes, apparently putting things off can make you more creative. How can procrastination help? Grant writes that “[o]ur first ideas, after all, are usually our most conventional. . . . When you procrastinate, you’re more likely to let your mind wander. That gives you a better chance of stumbling onto the unusual and spotting unexpected patterns.” Of course, as anyone knows, especially my daughter who was helping her son with his last-minute science project (how do these things slip our children’s minds until the due date?? ), excessive procrastination can also work against creativity, forcing you to choose the easiest route in order to get things done. And today, this day in the first week of February, when I’m tired from chasing January’s deadlines and putting away the Christmas tree lights and mailing back all the things that were left in the house over Christmas vacation and summer is too far away to be of any help and QuiltCon is looming so how can I possibly concentrate, it might be helpful to realize that sometimes it’s really okay to put things off, as well as knowing that procrastinators have lots of good company. I LOVE that puzzle piece!!! Your book for Cindy is darling too. I just remembered that I forgot to mail my signature block off to Cindy. I will have to do that. Sigh! I like the idea of being more creative if you are a procrastinator. It makes for a great excuse too. Love the term ‘pre-crastination’ versus the traditional ‘pro-crastination’ as they describe perfectly the differences between my quilter husband and myself. I am a ‘pre’ and he is a ‘pro’ – – wonderful to know we both ‘crastinate’ but just in the same way. I love this post! And that puzzle piece is just charming. For Christmas I gave my husband a box of 10 puzzles and he has worked through 3/4 of them now — often I’ll walk by and place a piece (or a dozen!) so seeing one piece in a quilt spoke to me. Nice to learn that we benefit from both “pre” and “pro” crastination – I clearly partake of both! I love your book block! I’m all for creative procrastination (so long as deadlines do not interfere). Love the heart-puzzle piece quilt. I knew there was a good reason to be an active procrastinator. Thanks for helping me to continue in my ways with new found dedication. I’m thinking that I am the classic pre-crastinator- I love to get things finished! I can certainly see the argument for procrastination, especially when I have an idea that I like to ‘evolve’. 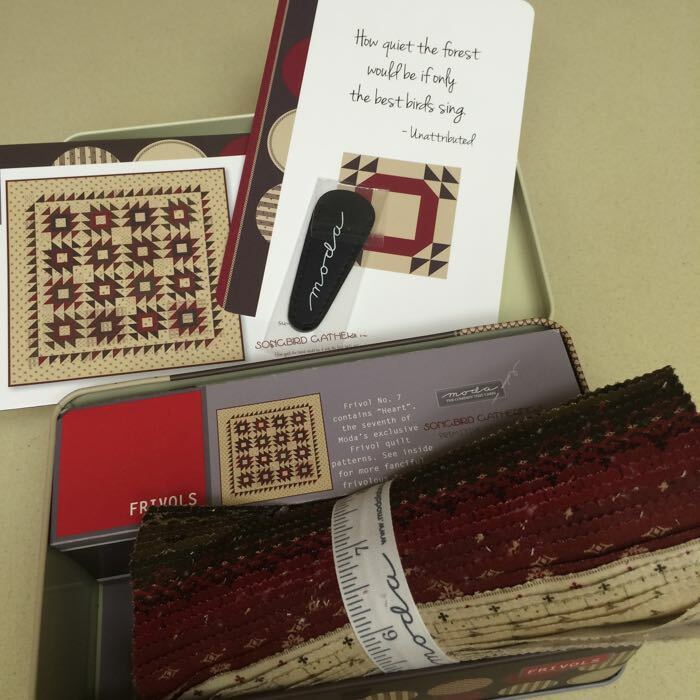 Love the Alzheimers quilt and your book block too! I, for one, am thrilled to have a new justification for procrastinating! You seem to be accomplishing quite a lot of important work, in spite of your claims to be putting things off! 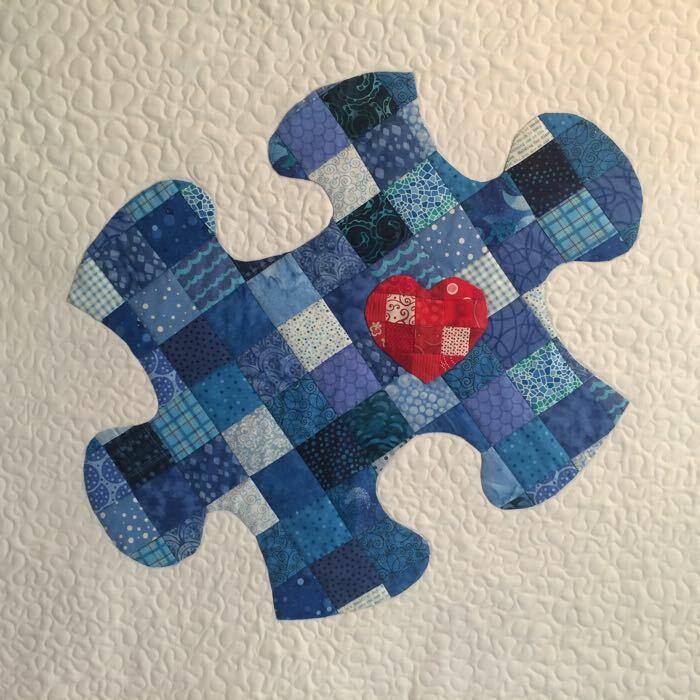 I love the puzzle piece mini quilt for Autism Research! Your block for Cindy is adorable too! Thank you for sharing The New York Times article. It makes so much sense and I am glad to have a reason for procrastinating more! And I always got told I was the only procrastinator! I do think, Elizabeth, that in your case some of what you call procrastination isn’t so much that as putting some things ahead of other things. You seem to be well-endowed with creativity no matter which way you play things. Pingback: Roaring into March | OccasionalPiece--Quilt!